Darryl Gaston asks the question: In a city of constant change, do we have the courage to protect the dignity of others? On Friday, March 2 at The Fillmore Charlotte, nearly 500 Daybreak Legends came together to hear native Charlottean, community advocate and the unofficial and unabashed “Mayor of North End,” Darryl Gaston, speak to us on our global theme of “Courage.” As a tireless citizen focused on the homeless, affordable housing and empowering the underserved to obtain the knowledge and skills to become self-sustaining, Darryl fearlessly tackled the issue of gentrification in the Queen City, and shared some of the creative ways in which he’s helps to instill his fellow residents of Druid Hills (and other neighborhoods) with power and dignity. 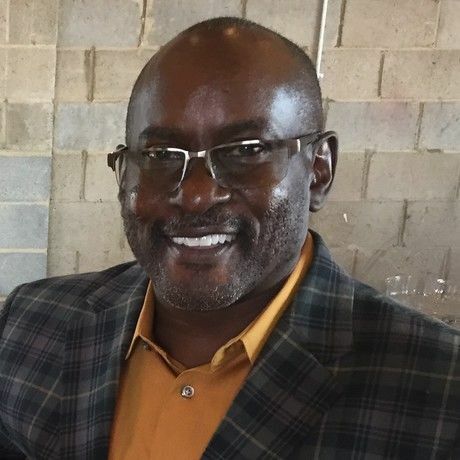 Darryl R. Gaston is a native Charlottean with strong ties to community advocacy. From an early age Darryl was exposed to community advocacy from his parents, family and neighbors. He has served on the Board of Directors for the Charlotte Area Fund and the Charlotte-Mecklenburg Housing Partnership. Darryl is currently the president of the Druid Hills Neighborhood Association. His passion for the Charlotte community is focused on the homeless, affordable housing and empowering the underserved to obtain the knowledge and skills to become self-sustaining. Darryl is a Commissioned Ruling Elder at Smallwood Presbyterian Church and Certified Instructor of the Art and Applied Science of Barbering and Hair Design. On any given day, you will find Darryl out in the community rolling up his sleeves to pitch in where needed, educating and helping to improve the residents and city which he loves.